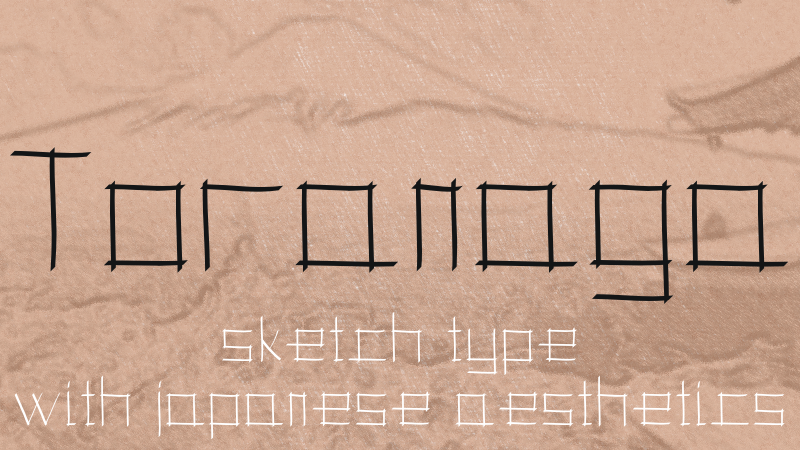 Toranaga font is a sketch typeface made out of sticks designed by Andrei Olaru and published by Kreativ Font. Inspired by Japanese writing, Toranaga be used to give an eastern aesthetic writing to your designs. The name was inspired by a well known character from James Clavell’s Shogun book. A font description published on Monday, February 25th, 2013 in Andrei Olaru, Fonts, Kreativ Font by Andrei that has 4,885 views.